Coins 26 L. Antestius Gragulus. 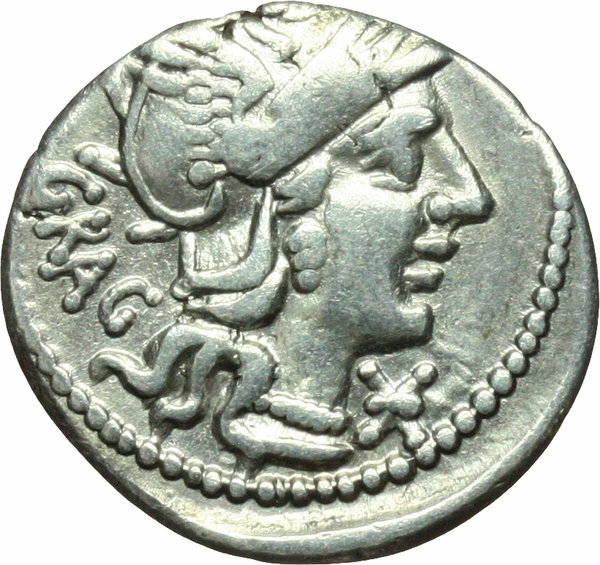 Denarius, ca 136 B.C. D/ GRAG. Helmeted head of Roma right. Below chin, monogram. 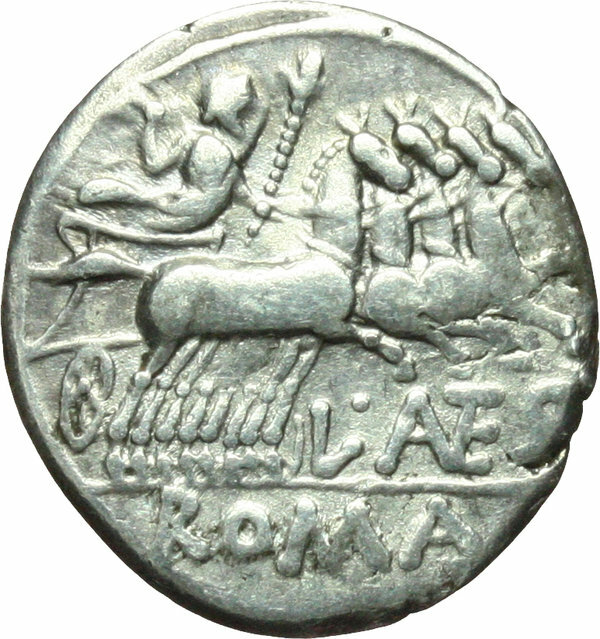 R/ Jupiter in fast quadriga right, hurling thunderbolt and holding sceptre. Below horses, L·ANTES. In exergue: ROMA. Cr. 238/1. AR. g. 3.76 mm. 19.50 VF.